According to the American Heart Association, cardiovascular disease affects nearly half of all Americans, and is the leading cause of death in the US. This map shows age-adjusted mortality rates for heart disease, by county, in our region. These data are from the Centers for Disease Control and Prevention. 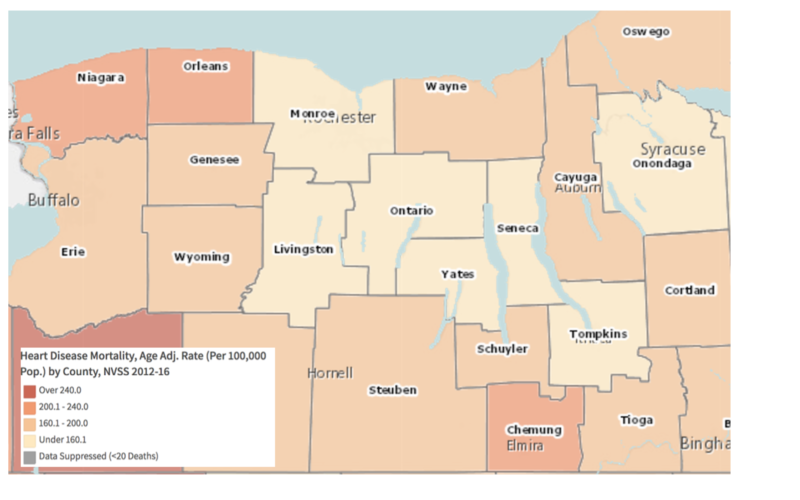 Notice the relatively lower rates for Monroe County and some of the counties bordering the Finger Lakes. Increasing physical activity and exercise is one way to reduce the risk of heart disease. 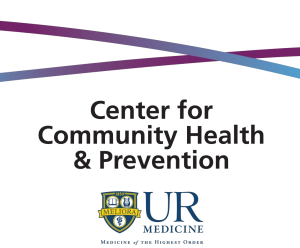 Explore our area’s mortality-rate data, as well as data about exercise opportunities and fitness and recreation facilities, in the RocHealthData Map Room. This week in February is all about affairs of the heart (or the liver, or the kidney). February 14th is National Donor Day, an effort to increase awareness about organ donation in five areas: organs, tissues, marrow, platelets and blood. Go to Donate Life America for more information. Another way to celebrate National Donor Day is to donate blood. The American Red Cross, Western and Central Region, has several blood drives this week across the area. Find one near you here.